If tourists prefer an educational tour, then Chennai would be one of the places that they should consider visiting. Besides being the fourth largest city in India in terms of the number of people who reside in it, Chennai is also considered as the cultural capital since it has the most interesting and deep stories with regards to the history and tradition that make up the area. The city is also regarded as the one which makes India truly a culturally diverse country despite its national unity. Within its 350 years of existence, Chennai has become a city of many activities, majority of these pertaining to financial matters. The city is also very open to many developments, regardless of these being technological or agricultural, as long as the people in the area will not experience famine. Still, they were able to preserve their attractive spots, mainly because they do not forget to prioritize it while pursuing other endeavors. What makes Chennai a good place to visit is that it is situated near the beautiful Bay of Bengal, which was the main trading port of the British people who had ruled the area before. In the area is also one of the best features of Chennai – the Marina Beach. Regarded as the second longest beach worldwide, this beach offers more than just that. With its clear waters connected to the white sands become a golden view during the evenings. St. George Fort is also one of most sought after spots in Chennai. Influenced by the arts of the British, this spot has a deep background and story rooting back to the British rule. In addition, Chennai is also the home of the National Art Gallery. This spot has a large display of paintings and sculptures that have been maintained by the people who are in charge of the gallery. Tourists who are interested to know more about the history and colorful culture of Chennai should never miss this place out. 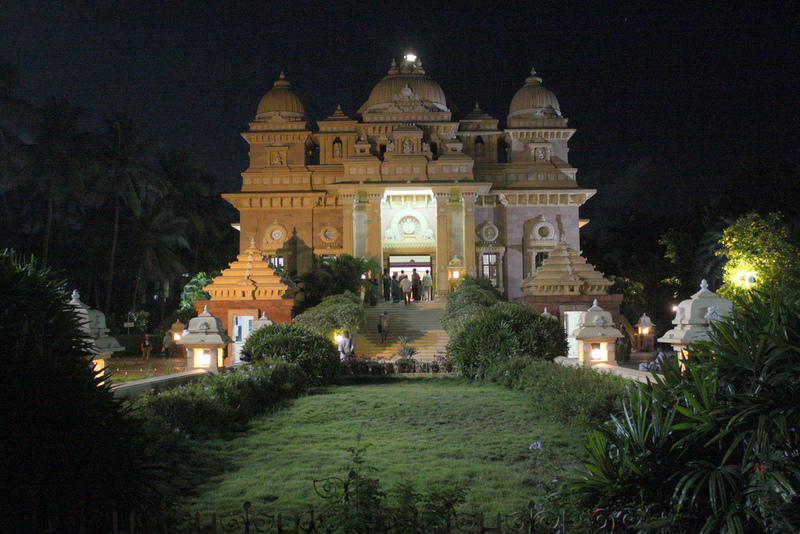 The Theosophical Society is another tourist attraction of Chennai. People may opt to relax at the shrines and gardens in the place, not to mention that they can also take pictures of the sculptures that are build here. Chennai definitely has a lot of things to offer to the tourists. It is a nice thing that they were able to preserve such attractions despite becoming a modernized city. Hyderabad is much better than that.. Yes, Hyderabad is much better than Chennai except for some British architecture. Hyderabad airport is the best airport in India (65th in world) similarly, there are so many attractions in Hyderabad like asia’s largest film city (RFC), world’s tallest single stone status of Lord Buddha. Recently, Hyderabad is ranked 3rd in the list of cities you should visit (acc to 2012 survey). However, it is also an Indian city so, there is some trouble with traffic but, L&T Hyderabad Metro Rail project is getting finished and it also received the Best Engineering Project of the year held in NY. 10. as you told hydrabad airport award, yes i agreed because hydrabad airport is fully privatised but chennai is yet now government owned,see the aai report. what you want, you ask me i give you clarification bro, ok. dont compare. Hyderabad is 100 times better than chennai. Chennai has nothing to show while compared to Hyderabad. Guys please don’t compare Chennai with Hyderabad because we all know Hyderabad is 100 times more better than Chennai. Yes hyd is great but its improvement srated only 15 years ago but chennai was a metro amongst indias 4 metros very long years ago then hyd shows like biggest village because whole vips of ap resides in chennai only also cinema ind depends on chennai ap owns hyd but south india own chennai so dont forgot old things because i am also a telugu boy i love chennai and hyd chennai is great south indian city what is not in chennai!! !